The Wheat/Soybean Double Crop System - R.W. Griffin Feed, Seed & Fertilizer, Inc.
Advanced planning and timeliness of operations are two keys to top-profit double crop soybeans. At twelve to fifteen dollar a bushel, soybeans are no longer a second class crop. They deserve first class attention, just like peanuts, cotton, corn or vegetables. The following management practices often limit double-crop soybean yield and/or quality. SOIL TEST RESULTS: Each field should be tested at least every third year. The nutrient reservoir should be in the medium to high range for phosphorus and potassium. Soil acidity should be between pH 6.2 and 6.5. Remember, soybeans are a legume and best use atmospheric nitrogen in this pH range. If in the mid 5’s, or the field has not been in beans for a few years, consider inoculating the seed with Rhizobium bacteria. Also, lime needs can be applied anytime, but still take a month or more to react and neutralize soil acidity. As always, lime works best if incorporated into the soil. VARIETY SELECTION: Ask your seed dealer for varieties proven in your region, population targets and seeding suggestions. Remember, each day of delay at planting can erode yield potential. A heavier seeding rate often results in a taller plant, higher pod set and earlier ground cover. RESIDUE: Quality wheat straw can have significant market value. Removal of straw from the field raises several management issues. It can result in a day or two delay in planting beans. Straw can conserve some soil moisture by shading the future seedbed. Straw will tie up some nitrogen as it begins to decay. Straw contains a considerable amount of potassium. So, one must weigh the advantages of straw removal vs. remaining on the field. NUTRIENT BALANCE: If both wheat grain and straw are removed from the field, it raises several concerns for the soybean crop. Nutrient removal from the field will likely exceed the fertilizer nutrients applied to wheat for both the wheat and soybean crop. According to the IPNI crop removal figures, each bushel of wheat removes 0.6 pounds of P205 and 0.34 pounds of K20. Soybean removal is higher, 0.84 and 1.3 pounds per bushel, resp. Thus, for a 60 bushel wheat crop plus 50 bushels of double crop soybean, removal from the field will total 78 pounds of P2O5 and 85 pounds of K2O. Straw removal takes another 13 pounds of phosphate and 96 pounds of potash for a total of about 90 pounds of P2O5 and 180 pounds of K2O. Thus, double cropping places considerable demand on soil phosphate and potash reserves. A shortage, especially of potash, is most likely to affect the soybean crop and the crop to follow. Both nutrients are essential for photosynthesis, water use efficiency, energy relations, as well as grain development. HARVEST: Combine wheat as early as possible to allow early soybean planting. Bale wheat straw right away, while it is bright and then store under cover. Timeliness of operations are as vital for wheat/soybeans as for any other crop. KNOWLEDGE: “Knowledge is Power” continues to be true. “Experience” is a good companion. Improvement is often the result of “Change”. 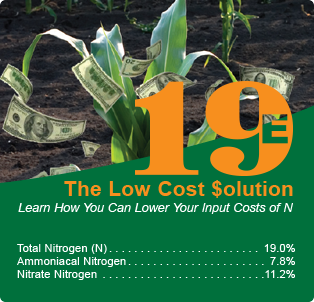 So, contact your crop input provider, retail dealer, county extension agent, Certified Crop Adviser (CCA) or neighboring grower for more input about developing a top-profit, double cropping systems. Dr. Noble Usherwood, born and raised on a grain/livestock farm in Northcentral Illinois, now resides on his farm near Madison, Georgia. He holds B.S. and M.S. degrees from the University of Illinois and a Ph.D. from the University of Maryland in soil fertility (Agronomy) and plant physiology. For the last decade, Dr. Usherwood has served in a consulting capacity to help farmers and the agricultural industry of Georgia and the Southeastern U.S. to improve productivity, marketing and bottom-line profitability.